The tragedy of Ebola goes far beyond the heartbreaking suffering of the people in hardest hit West Africa. Behind the scenes, another lesser known level of devastation is taking place. 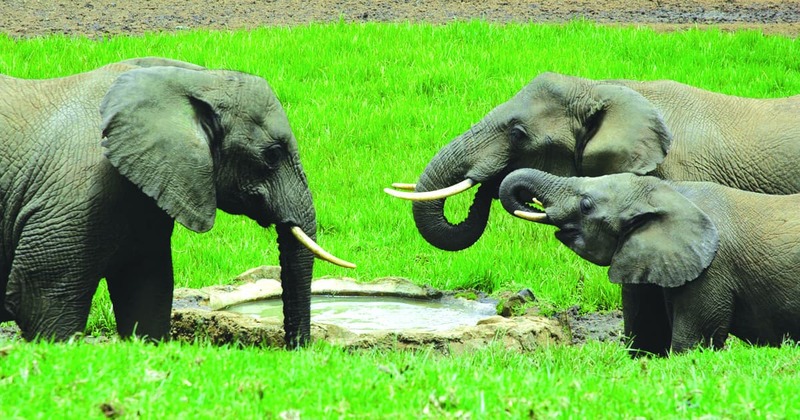 Tourism to Africa’s great wildlife destinations including Tanzania, Kenya, South Africa and Botswana is in freefall, as travelers scheduled to go on safari holidays cancel in droves. Never mind that Africa is a continent nearly four times the size of the United States and Ebola has been restricted to three countries in one geographic corner – akin to canceling plans to go on vacation to Quebec because there is an Ebola outbreak in Dallas. The only thing standing in the way of the threat of extinction of wild elephants and rhinos in Africa are tourists paying to see these majestic creatures on safari. According to the New York based Wildlife Conservation Society, almost 100 elephants a day are being killed by poachers. The fate of rhinos is even worse. And the fate of Africans who depend on tourism for jobs to support their families and put food on the table is hanging in the balance. The result is that an entire continent is now paying Ebola’s terrible price, as tourism numbers to popular safari destinations dwindle for no reason other than irrational fear on the part of many travelers. Consider the story of Peter Andrew, a pastry chef at Singita Faru Faru safari lodge in the Serengeti. Before tourism offered him an opportunity to escape the poverty of his village, the easiest way to feed himself was as a wildlife poacher. He could barely read or write but he knew how to use a gun. Peter turned away from poaching when he discovered that tourism provided a viable economic alternative. Today he has excelled in his career. Peter’s story is just one of many Africans in remote areas where tourism is the only realistic economic lifeline, one with an equally important incentive to protect Africa’s great wildlife that tourists come to see. When local people who live closest to rare animals threatened with extinction – elephants, rhinos and more – become active partners and allies in their protection, that is when true conservation takes place. And it is also what tourism to Africa delivers – a win win model to escape poverty based on saving nature. This is at the heart of community-based conservation today. No rational person wants to expose themselves or their families to Ebola, myself included. But we need to be educated, not paranoid in our decision-making. Africans need tourism to survive, and so does the future of some of the most endangered animals on the planet. This is about basic geography, not Ebola. It makes no sense to stop traveling to Tanzania’s famed Serengeti National park on holiday because of an Ebola outbreak in Liberia more than 3000 miles away. It compounds the suffering of the African people at a time when they need our help the most.